That’s right! We are thrilled to be able to offer Legacy journals as a part of Neely Marketplace’s unique collection of products for living, gifts for giving. For years, we have enjoyed giving and using these beautiful journals and it is with great joy that we are able to make them available to each of you. With a variety of covers to choose from, Legacy journals are sure to meet your journaling, note-taking, and creative writing needs, as well as those of your friends. Hop over to our online store and take a look! P.S. Don’t forget about upcoming holidays and occasions: Easter – April 21, Mother’s Day – May 12, graduations, and more! Yum! Black Cherry – standard favorite! These are all-time bestsellers, so take action now. They won’t last forever! We are enjoying the brighter atmosphere that comes along with early spring. The world out-of-doors holds an appearance of warmth as the bright sun, blue skies, and greener grass join together in a glorious, God-painted landscape. There is no coupon necessary to receive the discount! Something has surfaced in my teaching quite a bit recently, and this is the subject of training accompanists. Typically, an accompanist is a pianist because the bulk of repertoire is written with piano specific accompaniments, or piano reductions of orchestra accompaniments. With a very few exceptions, this is the case in classically styled sacred music, probably even more so than it is in classical music itself. Then, when we consider the average church, most of them use piano or a keyboard instrument, where other classical chamber groups or orchestras may be lacking. With this in view, it becomes tremendously important for a ministry-minded pianist to learn how to accompany others in all sorts of settings from all types of music, whether it is classical rep, or the more common improvised accompaniment out of a hymnbook, or a choral arrangement, or the accompaniment for another instrumentalist. There are many things to consider as an accompanist, with the biggest being that the accompanist must support, not dominate. This was always a bit of a challenge for me to grasp when I was first learning, especially when I was handed accompaniment parts for particularly exciting violin solos or vocal pieces. Nevertheless, this is arguably the most important thing for an accompanist to realize, for it is not only crucial in and of itself, but also effects every other part of how they play. Count. A no-brainer? Maybe, but while most beginners are continually being hammered with repetitions of “1 2 3 4,” “1+2+3+4+,” “trip-l-et, trip-l-et, trip-l-et,” or the more appealing “straw-ber-ry, straw-ber-ry, straw-ber-ry” or some other such form of counting, more advanced musicians somehow loose track of this most important technique. Find the quarter beat (or other main beat) and stick with it. Tap your foot, nod your head, do anything to keep on track with the person you are accompanying. Analyze. As the supporting musician, you have a very unique role. The music written to enhance the soloist is usually full of embellishments and ideas that duplicate those found in the solo or choral parts, but are often woven in so as not to draw direct attention. When preparing to accompany, spend some time with the score, and look to see how the accompaniment part and the solo part work together. Look for patterns that repeat between the parts, contrasting note values (maybe the solo has sixteenth notes and the piano is supporting by playing quarters or eighths), parallel vs. contrasting registers, etc. The more you know about what the other person is doing and how it relates to what you are doing, the better your prepared accompaniment will sound. Listen. (A) If you can find a recording of the piece you are to accompany, spend some time and listen to it. If your part is a piano reduction or a piece that has had orchestrations added to it, listen for what orchestral instruments are used to enhance the mood and musicality of the piece in its full edition. Envisioning a tuba or a piccolo will make a difference in how you approach relating portions of the work. Listen. (B) When practicing with the one whom you are to accompany, develop the habit of listening to them, rather than to yourself. This takes work and sometimes a little mind-over-matter technique, but is well worth the effort. Practice. Here again, this may seem like a no-brainer. You may be surprised, however, by the difference there can be between only ever playing with the soloist and taking time to study your own part between rehearsals. Here are some of our favorite books for young string soloists, with each arrangement including a beautiful piano accompaniment. These make excellent practice for church pianists in training! look inside Come, Christians, Join to Sing Composed by Kristin Campbell. SoundForth #228841. Published by SoundForth (S2.228841). look inside Worship the King Easy Hymn Settings for Solo Violin and Piano. Composed by Kristin Campbell. Score and performance/accompaniment CD. Lorenz Publishing Company #30/2600L. Published by Lorenz Publishing Company (LO.30-2600L). If you found this post helpful, click here to read other posts on music pedagogy. For the next three weeks, all recordings by The Neely Team will be $5*. No coupon is necessary to receive the discount; merely add the desired CD to your cart and proceed to the check-out page to complete your order. We are excited to release several new titles in the line of sacred songs for children. 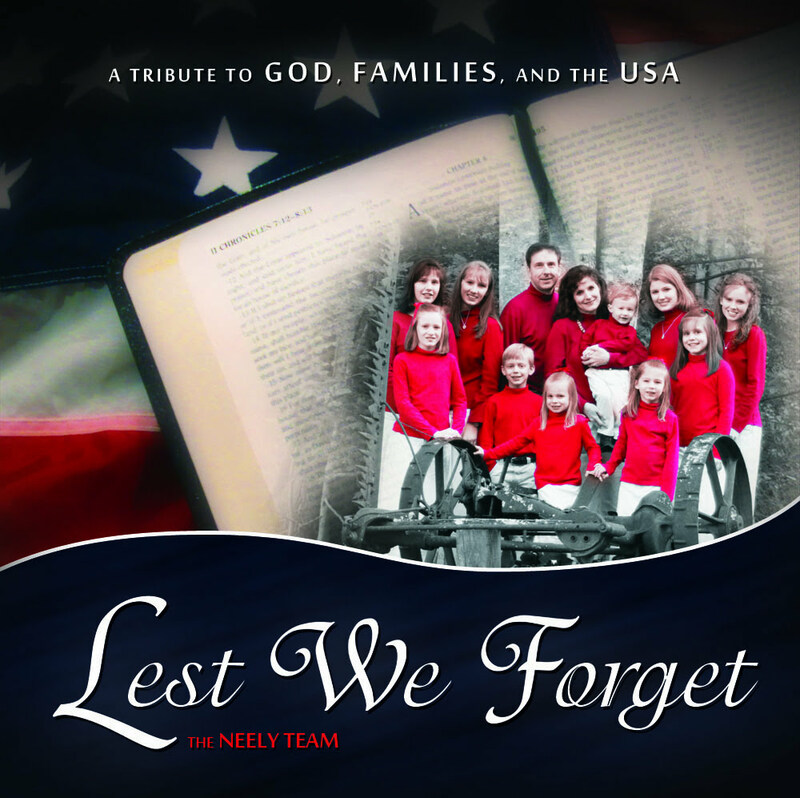 All of these songs work well with families and children’s choirs, and emphasize specific Scripture verses and/or principles in fun and memorable ways. Until January 31, you can purchase any 2 of the children’s songs and receive a third one FREE when you apply the coupon code childrens-song3for4 at checkout. Stop by the Vocal Sheet Music page to browse our Children’s Song titles. We’re excited to make available a fresh string setting for the timeless hymn, “And Can It Be?” In a rousing and triumphant rendition, string quartets can marvel at and rejoice in the matchless love of our God. For ease of coordination, there is an optional third violin part that can double the viola or serve as a substitute when violists are scarce! Visit our online store to preview the complete score and to purchase. In everything give thanks: for this is the will of God in Christ Jesus concerning you (1 Thessalonians 5:18). As we are all gathering with those we love, may our hearts swell with gratitude and praise to the Lord for his never failing faithfulness and everlasting love. This is what Thanksgiving is all about. Thankfulness: Gratitude to God for what He does. Praise: Gratitude to God for Who He Is. Admit it. Beneath the comfort of smiling faces, warm hugs, delectable smells, and cozy coffee cups swarming around plates of pumpkin pie, are hearts with needs. In some cases, hearts that are aching badly with hurts and pain unseen and unknown. The flip side of the rejoicing we are enjoying is still there and is, in some cases, very dark. But there is a Light that can pierce through the most difficult situation, warming and illuminating the darkest, coldest heart, resulting in growth and eventually, fruit. This Light is Jesus. He is Emmanuel. God with us. God with us. God with us. We have so much to be grateful for. Yes, family, friends, food, warm houses, soft lights, soothing atmospheres, sweet relationships, are all gifts for which we ought to return thanks to our Lord everyday. But there’s more, so much more that we are prone to overlook in the dazzling delights of temporal pleasures. We who have trusted in Christ as our Savior are assured a perfect standing before the God of Heaven (Romans 8:1). If this were not enough, when we come to the Father in Jesus’ Name, we receive the spirit of adoption whereby we cry “Abba, Father” (Romans 8:15). He is Christ’s Father, and our Father, Christ’s God, and our God (John 20:17). There are unspeakable gifts laid up in store for those who love God (1 Corinthians 2:9). For those who are faithful unto death in the midst of crisis, persecution, or even just “ordinary” trials, are reserved crowns of life (Revelation 2:10, James 1:12). Time would fail us to speak of grace sufficient for every need (2 Corinthians 12:9), guaranteed rewards for perseverance (Galatians 6:9), comforts found only in the never-ending presence of God (Hebrews 13:5), life and peace that comes from spiritual-mindedness (Romans 8:6), the assurance that those who ask, will receive (Matthew 7:8), the truth that all of God’s promises are true (2 Corinthians 1:20), and the list could go on for pages. These are things God does for us through Christ. Let us now consider some of who God Is. He is, first of all, the I AM God (Exodus 3:14). He is our Shepherd (Psalm 23, John 10:11). He is our Sun and Shield (Psalm 84:11). He is our Strength (Psalm 28:8). He is our Song (Exodus 15:2). He is our Father (Galatians 4:6). He is our Blesser (Ephesians 1:3). He is our Director (Proverbs 16:9). He is the Way, the Truth, and the Life (John 14:6). He is our Refuge (Psalm 9:9). He is our Fortress (Psalm 91:2). He is the Creator (Genesis 1:1). He is the Alpha and Omega (Revelation 22:13). Here again, the list is endless, for God is infinite (Psalm 145:3). It doesn’t matter where you find yourself this holiday season, whether on the mountain tops of rejoicing or struggling to keep the tears from spilling over into the mashed potatoes you are about to serve: God is enough for your need. He makes all the riches of glory available to you through Christ (Ephesians 1:3), and whoever comes to Christ will in no wise be cast out (John 6:37). This Thanksgiving, let us all focus our hearts to seek those things which are above, where Christ sits on the right hand of God (Colossians 3:1). We have so much for which to be grateful. May we raise continually a voice of Thanksgiving for what God has done for us, and a voice of Praise for Who God Is. Praise ye the LORD. Praise the LORD, O my soul. While I live will I praise the LORD: I will sing praises unto my God while I have any being. The LORD preserveth the strangers; he relieveth the fatherless and wido: but the way of the wicked he turneth upside down. The LORD shall reign for ever, even thy God, O Zion, unto all generations. Praise ye the LORD. The Christmas season is just around the corner. If you are like us, then you are busily preparing this year’s special music for church events, nursing home ministries, and more. It is special to bring everyone together to sing at Christmas time. What would Christmas be without the sound of children’s voices ringing through our lives? If you have a group of children you are working to prepare for the Christmas season of music ministry, then you will want to check out this new, gentle carol written just for children and that touches the hearts of young and old alike. We are excited to announce the release of A Child at Christmas Time. It is simply set for children’s choir and features an optional child’s solo, as well as optional obbligatos for viola and cello. Click here to preview and purchase the digital sheet music.